Villa “Romantika” is situated about 500 m far from the beach and offer a beautiful bay view to its visitors. We have 13 beds in 6 bedrooms. Near by the villa is situated barbecue. 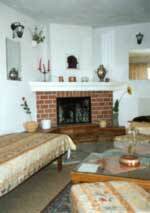 We have gardens including big orchard of fruit, fig laden trees and ample secure parking. I'm interested for the prices during 8.08-15.08 for 3 persons (two adults+ one 12 year old child). Please tell me if the hotel near the beach is or not.